As the Syrian civil war enters its seventh year, the stream of refugees fleeing the conflict continues. This exodus is by no means a monolithic phenomenon: the experiences of Syrian refugees vary widely and are to a large degree determined by their port of call. Since 2011, Armenia has been among these ports, welcoming over 17,000 Syrians of Armenian descent. Exceptionally, Armenia does not consider the new Armenian-Syrian arrivals to be refugees, but rather citizens returning to their homeland. While these “returning citizens” have not faced nearly the same hurdles in resettling that their counterparts have in Central and Western Europe have, their arrival in Armenia has not been without controversy. The presence of the Armenian community in Syria, while existing as far back as the first century BC, is largely a result of resettlement following the Armenian Genocide (1914-1923). Many of the survivors of the death marches from Western Armenia (present-day eastern Turkey) to Deir-Ez-Zor in Syria remained in the region as diasporic communities. Until the beginning of the civil war in 2011, the largest Armenian-Syrian community had been living in the northern city of Aleppo. After the outbreak of war, many Armenian-Syrians fled north to the modern-day Republic of Armenia, which we know today as the successor state to the Armenian Soviet Socialist Republic. While Armenians in 1915, for the most part, fled Western Armenia, the contemporary Armenian Republic, or Eastern Armenia, has welcomed them as returning citizens. Despite this welcome being far warmer than in the West, violence has followed some of the Armenian Syrians. While almost all refugees first settle in the Armenian capital Yerevan upon their first arrival, the situation of the struggling Armenian economy combined with the government and non-governmental housing programs has seen large numbers relocate to other parts of the country with one region in particular – Nagorno Karabakh. The statue of “Tatik-Papik” in Nagorno-Karabakh’s capital Stepanakert. It was built during the Soviet period and remains one of the main symbols of the region’s identity. Following the Soviet Union’s annexation of the southern Caucasus in 1921, Stalin made the decision to transfer two provinces formerly belonging to the first Armenian Republic (1918 -1920) – Nagorno-Karabakh and Nakhichevan – to the Azerbaijan SSR in an effort to appease Turkey. Later, as the USSR drew its dying breaths, a new socio-political movement known as the Karabakh Movement placed pressure on then Soviet premier Gorbachev to return the disputed territory to the Armenian SSR. 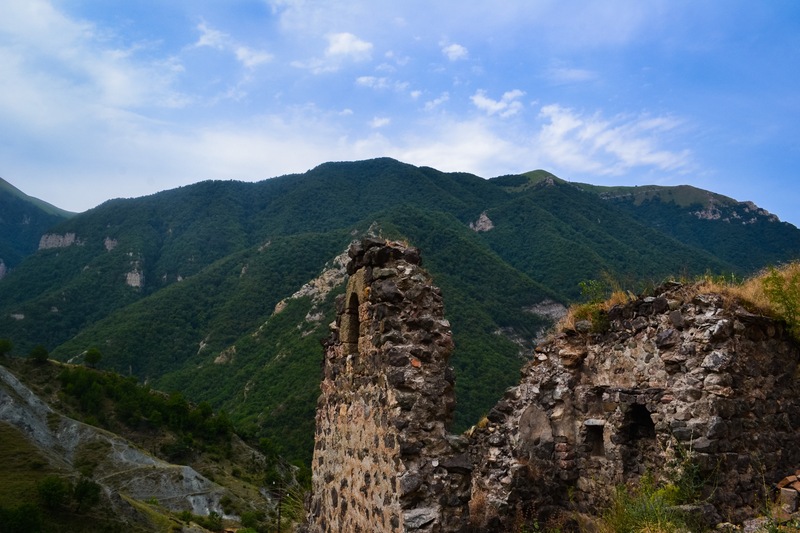 The 9th century Dadivank Monastery, a testament to the region’s ancient Armenian roots. The movement, however, failed politically to achieve its goals, and as a result the citizens of the oblast voted for independence from Azerbaijan in 1991. With the gradual decline and collapse of the USSR in the early 1990’s, the political turmoil in Moscow promulgated the pre-existing tension further south between ethnic Azeris and Armenians. The intermittent clashes escalated into a full scale war for independence, the result of which would see the whole of the former oblast, as well as some surrounding territory bordering the newly declared Armenian Republic, come under ethnic Armenian control. Today, the region’s government is called the Republic of Artsakh. 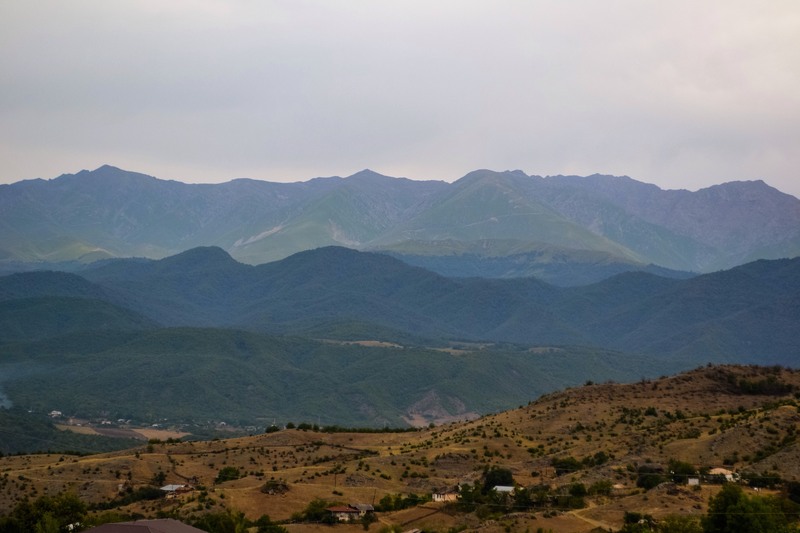 Nagorno-Karabakh’s terrain, Nagorno meaning “mountainous“, is an essential component of the Artsakh Defense Army‘s defensive strategy against any potential future Azerbaijani invasion. Despite the official ceasefire on May 5 1994, the conflict has not entirely ceased. Because the Republic of Artsakh is not recognized by any UN member state, it doesn’t have an official border. Rather, it has a series of military checkpoints and a military line of contact with Azerbaijan. The line of contact is regularly the site of deadly flare ups, mostly involving exchanges of sniper fire. While the conflict is usually described as “frozen”, major escalations, such as the 2016 “Four-Day War” resulted in the estimated deaths of nearly 1,000 soldiers from both sides and the extensive shelling of civilian areas such as Martakert which reportedly forced 2,000 Armenian civilians to flee the territory. 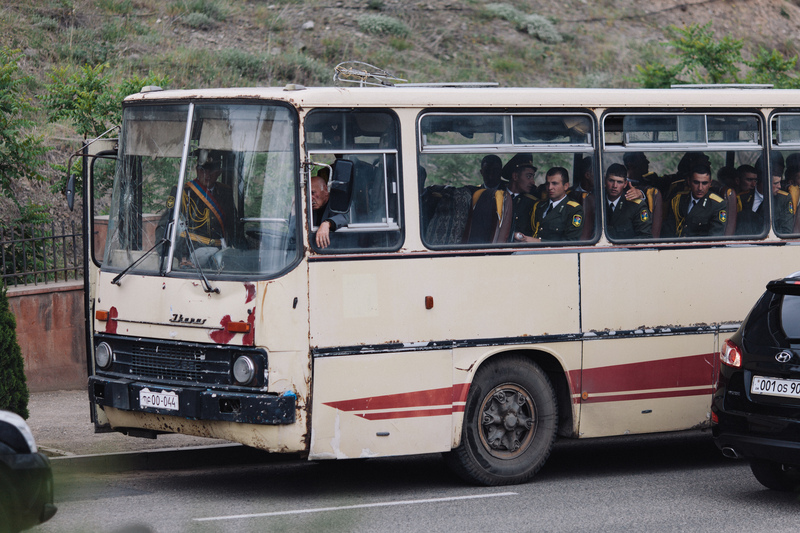 The arrival of new Armenians from Syria to Nagorno-Karabakh has thus become yet another facet in the continuing conflict, working to manipulate the region’s demographics. 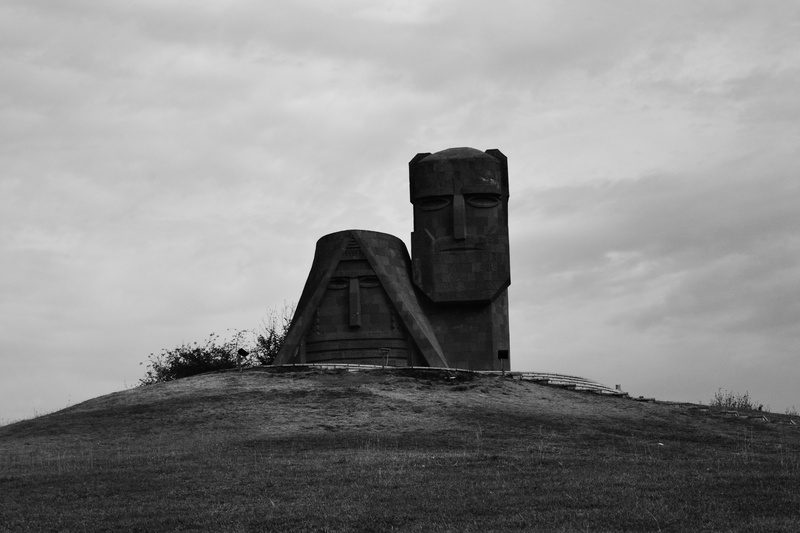 For the Armenians, populating Nagorno-Karabakh not only has practical benefits, such as compensating for the population-decline following the 2016 war, but also functions as a continuation of their “liberatory” Karabakh movement. For the Azeris, the Armenians’ resettlement of an illegally “occupied” territory is an act of aggression in a war that from its inception has been divided along ethnic lines. With regard to the region’s new settlers, the meaning of the term “settler” has vastly different connotations east and west of the line of contact. Why would Syrian Armenians, fleeing conflict, choose to live in a disputed territory? For the settlers themselves, their decision to relocate to Nagorno-Karabakh has both an internal and external component. Citizens such as Mushegh Aroyan, who moved to the town of Kovsakan in 2012, describe their motivation as being rooted in nationalistic duty. “Patriotism drove me here” Aroyan noted, describing how his journey from the town of Qamishli in northeast Syria was motivated by his desire to settle on his “own land”. Aroyan and his family are not alone in their patriotic migration: they have substantial assistance from a plethora of Armenian, Artsakh, and diaspora NGOs as well as from the Armenian government itself. 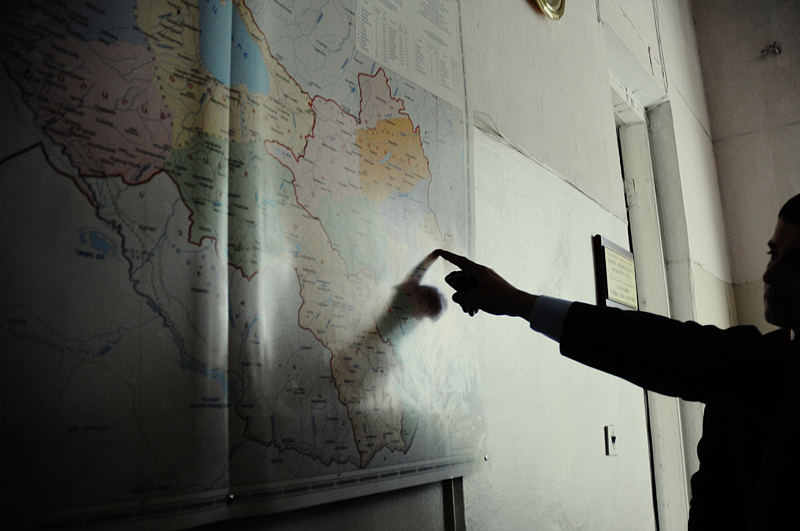 According to Alexander Iskandaryan, a researcher from the independent Caucasus Institute in Yerevan, “the [Republic of Artsakh’s] government tries to lure people to move exactly there [Nagorno-Karabakh], in order to populate the region”— an initiative which has equal backing from the Armenian Government. For instance, the “Help Your Brother” project, led by Armenian Republic parliamentarians Vahan Hovhannesyan and Lilit Galstyan, works to raise funds for resettlement of Syrian-Armenians in Nagorno-Karabakh. Elsewhere, in Mushegh Aroyan’s new home of Kovsakan, NGOs supplement governmental aid by providing targeted community financing. The Tufenkian Foundation provided the financing in 2014 for an apartment building while the AGBU provided tractors to Armenian-Syrian farmers a year earlier. Despite the fact that the facade of these programs focuses on humanitarianism, their underlying motivations are largely guided by the nationalism which by default accompanies Nagorno-Karabakh politics. 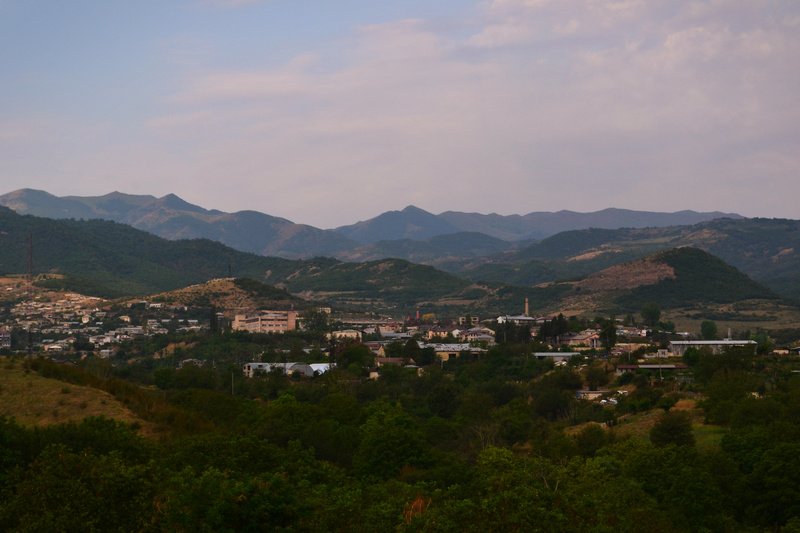 The view east of Stepanakert, the capital of the de facto republic. There are many serious implications of these resettlement programs. Just over 22km north-east of the town of Kovsakan lies the town of Ishkhandazor. Just like Kovsakan, it also has several buildings which were renovated for Armenian-Syrians. These buildings are empty, however, due to the fact that their previous residents— Azeris— were forced to flee during the war in the early 1990s. Now, two decades later, families such as the Armenian-Syrian Khatchataryans have taken up residency. Today, the refugees of Syria have taken the place of those who were forced to become refugees themselves. The re-purposing of formerly Azeri dwellings thus marks a distinct chapter in the geo-ethnic struggle that defines the Nagorno-Karabakh conflict. The manipulation of the region’s demographics, however, goes beyond re-purposing Soviet era apartment buildings. 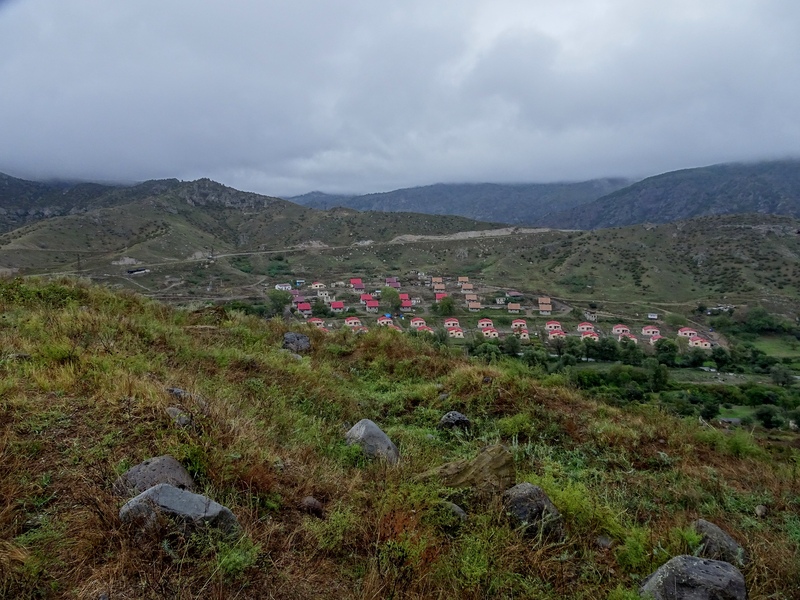 One of the regions which has seen the most resettlement activity and investment is Kashatagh, in which some towns, such as Aghavno, have been built up from what was previously pasture and ruined buildings destroyed during the 1990s war. This region is of particular strategic importance; when Soviet authorities partitioned Karabakh in 1921, they intentionally left a portion of land belonging to the Azerbaijan SSR between the Karabakh oblast and the Armenian SSR in order to inhibit any attempts towards re-unification. The narrow mountainous corridor, known as the Lachin Corridor, became the subject of extensive fighting in the 1990s, which aimed to create a land link between Armenia to the Nagorno-Karabakh territory by means of controlling what was up until 2017 the only highway linking the regions. Today, the plethora of newly renovated and re-constructed towns in Kashatagh mark the continued efforts of both the Republic of Artsakh and Armenian governments to ensure that the Lachin corridor is inhabited by ethnic Armenians, especially given proposals by Minister of Foreign Affairs of the Republic of Azerbaijan Elmar Mammadyarov to turn the corridor into a multi-national “Road of Peace”. Caught in the middle of governmental and non-governmental resettlement projects lie the estimated Over 17,000 newly arrived Armenian-Syrians. Those who have since relocated to settle Nagorno-Karabakh have left the violence in Syria – only to exchange one conflict for another. For the Kashashain family, one of the many Armenian-Syrian families to move to Nagorno-Karabakh, the free accommodation was counterbalanced by the continued violence. “Every time my children see a plane, they are scared, they say ‘oh mommy, there’s a plane’ and they rush hiding inside” Vano Kashashain told a BBC reporter in 2015. Twelve months after the story was published, the “Four-Day war” would erupt, confirming Kashashain’s childrens’ fears. The efforts to secure the control of the Nagorno-Karabakh region through the settlement of ethnic Armenians demonstrates that Armenian-Syrian refugees are valuable to the Armenian government not only as new compatriots but as tools of political strategy. While it may be tempting to think of the Syrian-Armenians of Karabakh as an isolated issue, this episode also provides a mirror to immigration policies closer to home, where cold pragmatism is often mistaken for goodwill. Often lost in renewed discussions of immigration “reform” is the truth that the lives of refugees don’t possess value on account of their linguistic, ethnic, or religious background, but rather by the fact that they are human beings seeking to escape the upheaval of war.